Astute Pokémon fans noticed something interesting during the Pokémon National Championships this past weekend—something that seemed like it should have been impossible without the use of cheating. Attempting to cheat at Pokémon tournaments isn't new: literally thousands of people have been caught in the act before. Nevermind the huge prevalence of hacked Pokémon online, be it in Pokémon Bank or the Global Trade Station. What made this case unusual was that the person being accused of cheating was none other than Ray Rizzo, a three-time Pokemon video game world champion who has even appeared in the Pokemon games. Specifically, fans noticed that one of Rizzo's Pokémon, Aegislash, seemed to be caught in a "Dream Ball"—a type of Pokeball exclusive to the Dream World feature of last generation of Pokémon games that allowed players to send their Pokémon online for special items. Aegislash, however, is exclusive to the new games, Pokémon X & Y. Dream World itself closed down on January. The combination of Aegislash in a Dream Ball shouldn't be possible, viewers reasoned, unless something funky was going on. Basically someone who I'm not going to mention because people might troll them over this and I don't want that to happen, unknowingly bred a presumably hacked dream ball Aegislash and the ball passed down from one of the parents, so the completely legit baby Aegislash ended up having a dream ball too. The person who bred it for me didn't notice because they thought the parents were perfectly fine. So then they traded the baby Aegislash to me so I could EV train it and use it. Let me tell you I don't know anything about ingame. I have maybe 60 hours of gametime and I couldn't tell you the difference between a dream ball and a dusk ball, so I had absolutely no idea it was in a dream ball. I just take my Pokemon through Nintendo's hack check online on battle spot and at the competitions and they're totally fine because they are always bred completely legitly, so I go ahead and use it. I simply do not play ingame, there's no way I would have even known it was in a dream ball since it doesn't tell you, and I wouldn't have even known there was anything wrong with it being in a dream ball because it passes hack checks and I don't even know what the hell a dream ball is or how you get dream balls. 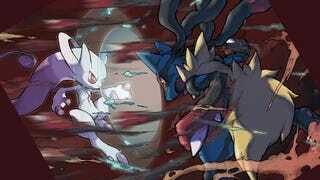 Rizzo also explained that while his Aegislash has no advantages over other Aegislashes, he doesn't plan on reusing the Pokémon in the future. The use of external devices to alter the Pokémon in a player's party is expressly forbidden. Random checks will be performed throughout the tournament to determine whether or not an external device has been used to modify a player's party. Players found to have Pokémon that have been tampered with will be disqualified from the event, regardless of whether the player tampered with his or her game or received a Pokémon or item that was tampered with by someone other than the player. It is the player's responsibility to have legal Pokémon. Regardless of how people feel about this incident, the rules also say that "event officials have the final determination regarding the legality of a Pokémon." This seems to be the case here. Tournament officials haven't addressed the controversy, at any rate. We nonetheless contacted Nintendo to ask about the incident, and will update this story if we hear back.